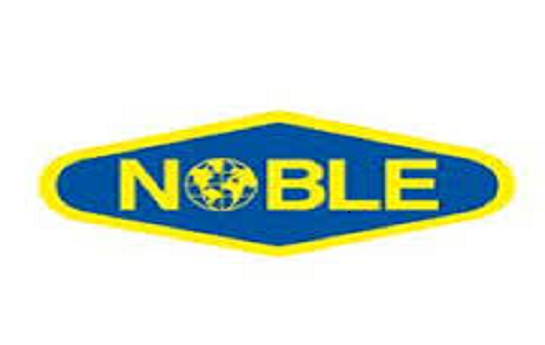 NOBLE DRILLING NIGERIA LTD – Alfred Peterson Ltd.
• Replacement of damaged jacking pinholes on all four legs. • Repairs to wasted sections of the 6 feet diameter tubular legs by strapping 1” X 6” flat bars at 45 degrees and 30 degrees. • Replaced about 30 % of wasted hull plates and stiffeners. • Replacement of about 70% of wasted pre-load tanks stiffeners and hull plates and repairs to damaged rig’s spud cans that involved plate’s removal, V stiffeners change-out and installation of anodes. • Complete change-out of elevated pipe deck plating and maintains a running contract on supply of ABS certified welders to the rig. • Repair of damaged rig leg bracings and complete repair to damaged raw water tower as well as complete modification of the conditioning system. • Maintains a running contract on supply of ABS certified welders to the rig for Repair & General maintenance work on the rig. • Construction of 25’’ DRIVE PIPE DECK and Installation of CUTTING AREA WALKWAY PLATFORM. • Fabrication and installation of constructed of CAT Walkway Construction and EOM TRIP TANK. • Major plate and stiffener change-out on pre-load tanks while drilling. • Repairs of several damage crane boom pipes and walkways. • Installation of Ten (10”) feet cantilever Beam extension. • Successfully carried out major repairs, re-fabrication and installed the 10 ft Cantilever Beam Skidding Extension on the rig while on location drilling. This is a capability that enabled the offshore jack – up rig to be able to Skid –Out up to fifty feet (50 ft) over a group of wells on a platform. This job was carried out in conjunction with VENICE ENGINEERING & CONSULTING SERVICES, HOUSTON, USA. All the welds were NDT to zero defect. • Leg Brace Change – Out. We successfully changed out eighteen (18) damaged leg braces on the rig. These include horizontal, diagonal and part of the chord sections. This is a major repair carried out by our company that earned us recognition by the President of Noble Drilling. The original builder of the rig FRIEDE GOLDMAN OFFSHORE was invited to monitor the repairs and review the NDT works. A total of seventy-two (72) joints were made and NDT with zero defects. Our company was recognised by FRIEDE GOLDMAN OFFSHORE as an approved facility to carry out structural work on their behalf. • Maintains a running contract on supply of ABS certified welders to the rig. • Offshore Replacement of about 20% of wasted plates in the Hull pre-load tanks. • Maintains a running contract on supply of ABS certified welders to the rig for general Hull repairs and fabrications. • Construction of Mud conditioning Tank and Mud discharge channel. • Construction of 25 BBL rig floor skimmer tank.